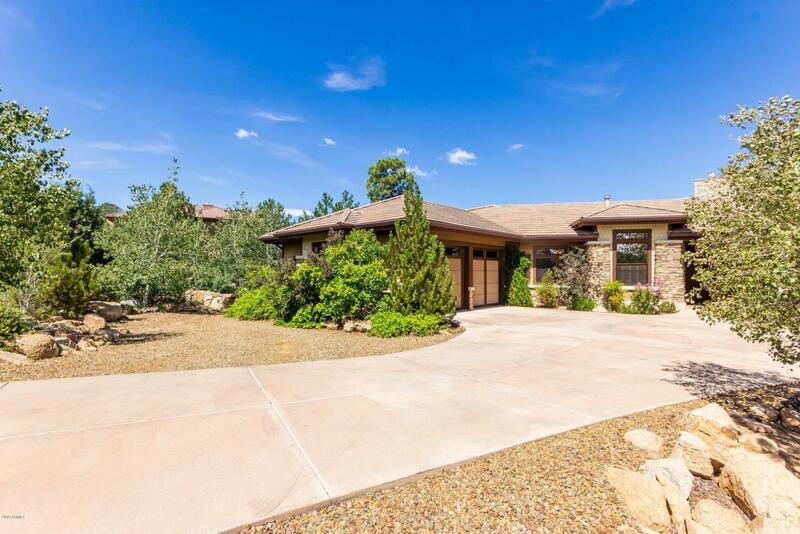 Beautiful home in Hassayampa Village Community located just a short drive to the downtown Courthouse Square and a short walk to the Prescott National Forest. 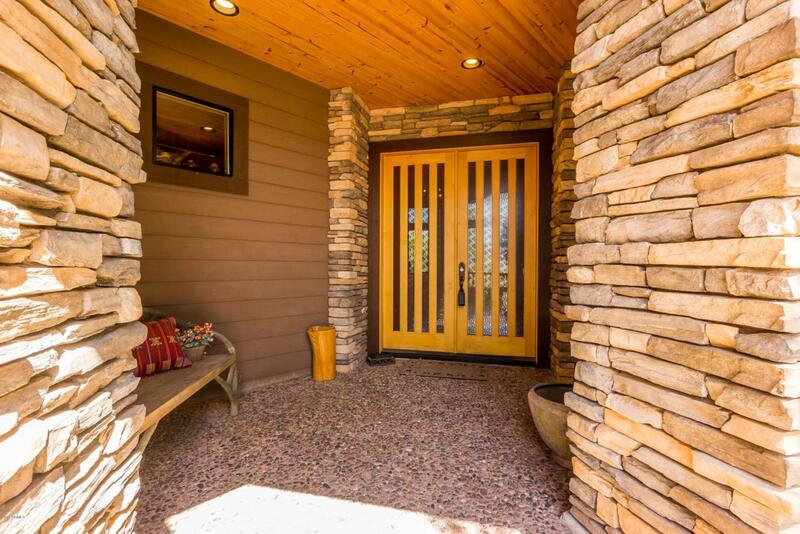 This well appointed home is one of the best values behind the main gate. There are no stairs as you enter this main level living residence. 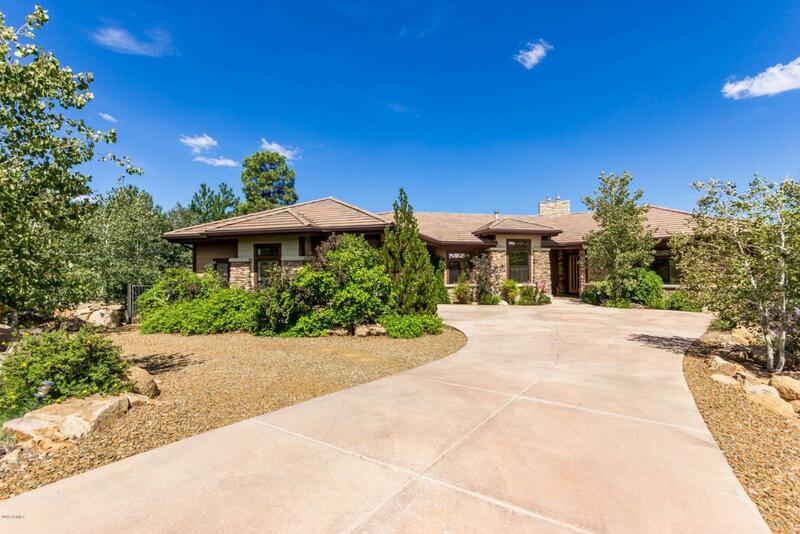 2102 Forest Mtn boasts 2 oversized master-suites with walk in closets, tongue n groove ceilings with hand hewn lodge poles, travertine flooring, oversized windows, floor to ceiling stone fireplace and a spacious open floor plan. The deluxe eat-in-kitchen features granite counters & Breakfast Bar, custom alder cabinets, stainless Viking appliances along with Sub-Zero refrigerator. 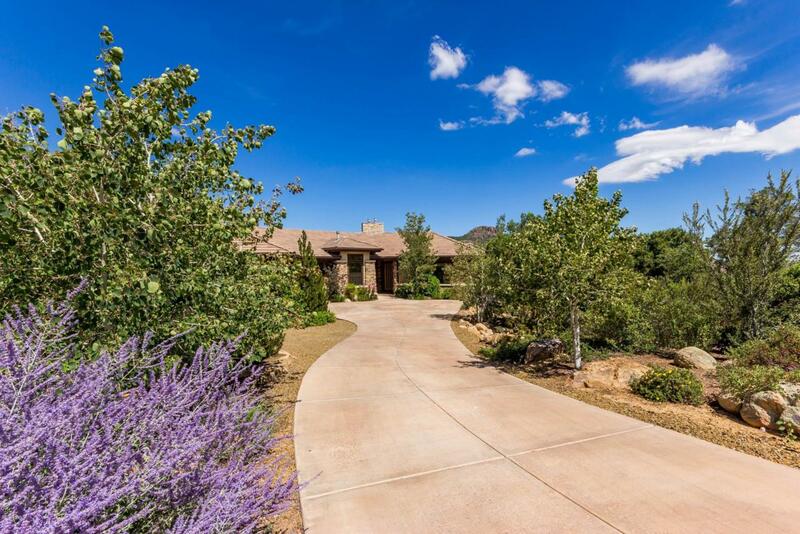 Upper deck is setup for entertaining with permanent BBQ, outside TV and views of Thumb Butte. Dog run on side of home.